I just finished volunteering for my first year at the SXSW (South by SouthWest) Festival in Austin, Texas. The festival is a mixture of Film, Music and Interactive (think tech/business/internet), with the first half focusing on interactive, the second half on music, and film running the entire length of the nine-day conference. As a volunteer, I was required to work a certain number of shifts, but had enough time off to see some interesting discussions, panels, and excellent live bands. 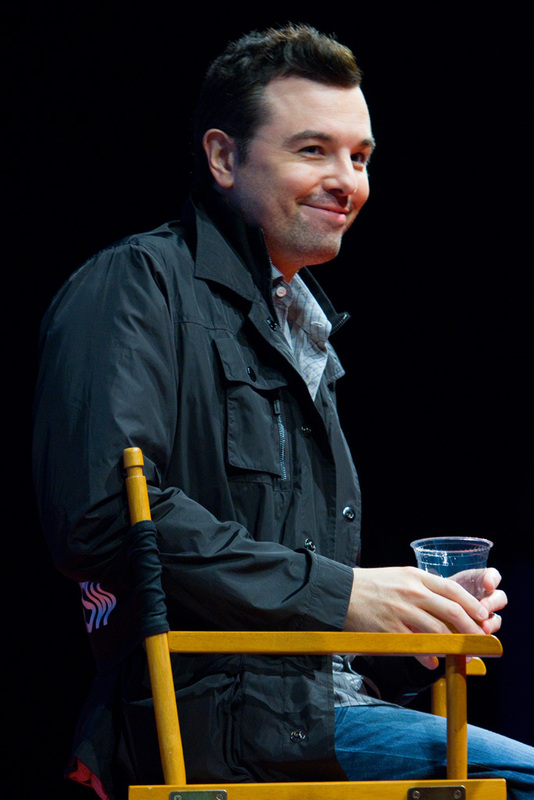 Here are some photos from the first half of the conference (interactive and film). Stay tuned for another set from the music side of things. Needless to say, if you can ever get down to Austin for the SXSW Festival, be sure to do so – you never know what you might see/hear/do. An impromptu dance party breaks out in the rain after the SXSW premiere of "Girl Walk // All Day". 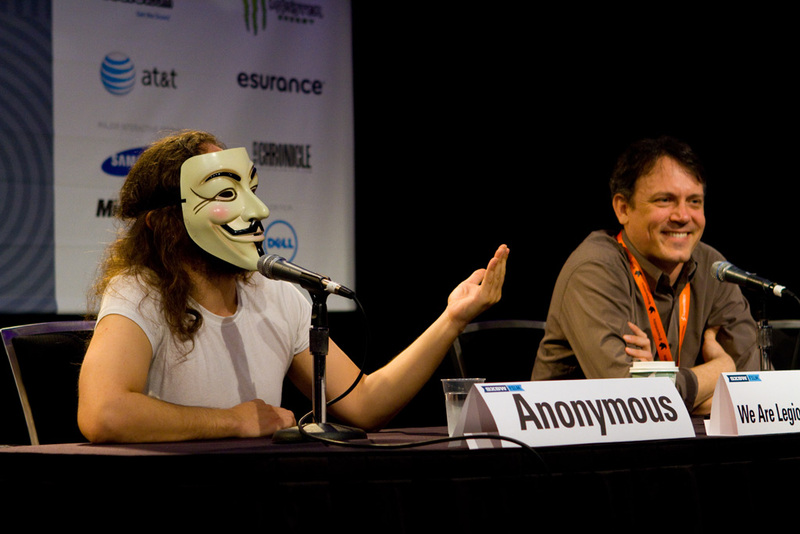 The panel for "We Are Legion", a documentary about Anonymous, was one of the more interesting panels I attended and included an anonymous member giving input via skype. 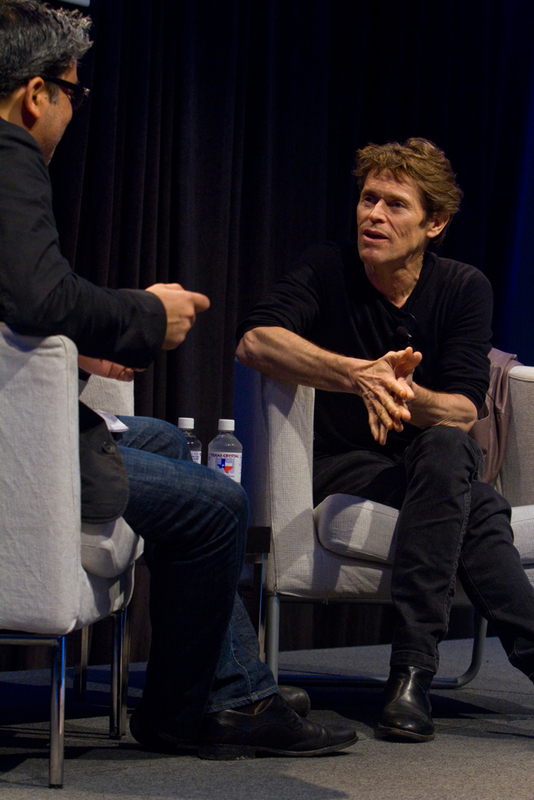 A number of the panels were set up as "A Conversation with X", and the conversation with Willem Dafoe was my favorite panel of the week. 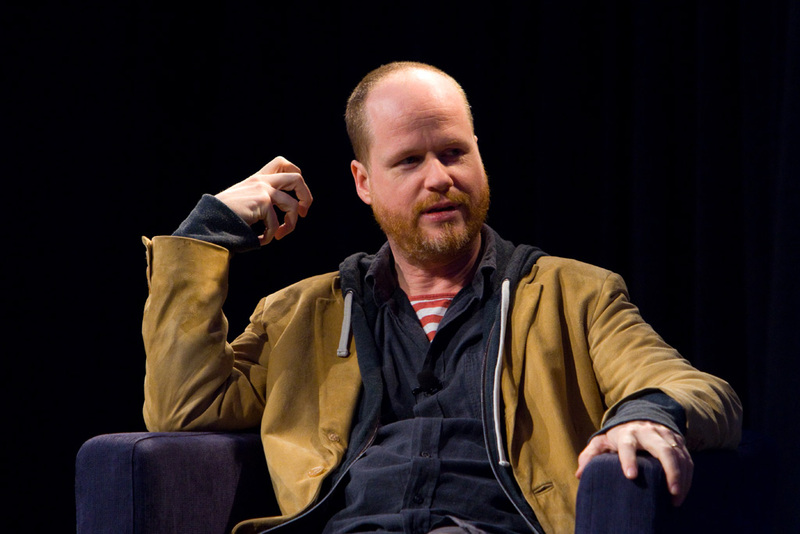 From the panel "A Conversation with Joss Whedon"
Seth talked about his past, the evolution of Family Guy, and other projects. 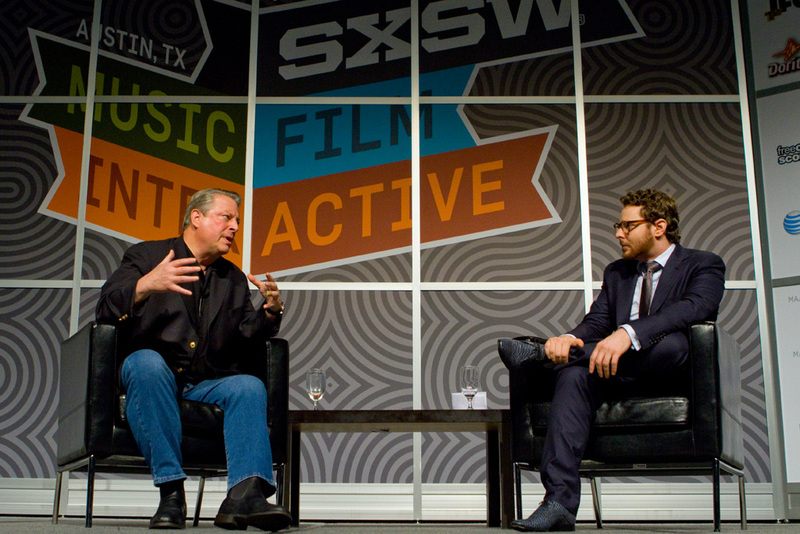 Al Gore and Sean Parker had an incredibly interesting 90-minute conversation about democracy and the internet. 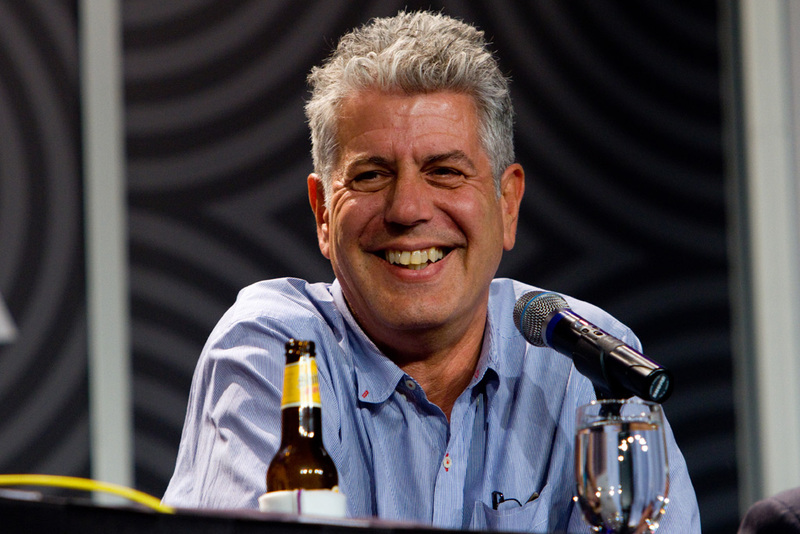 Anthony Bourdain and some of his production staff discussed various aspects of No Reservations and his now show The Layover. 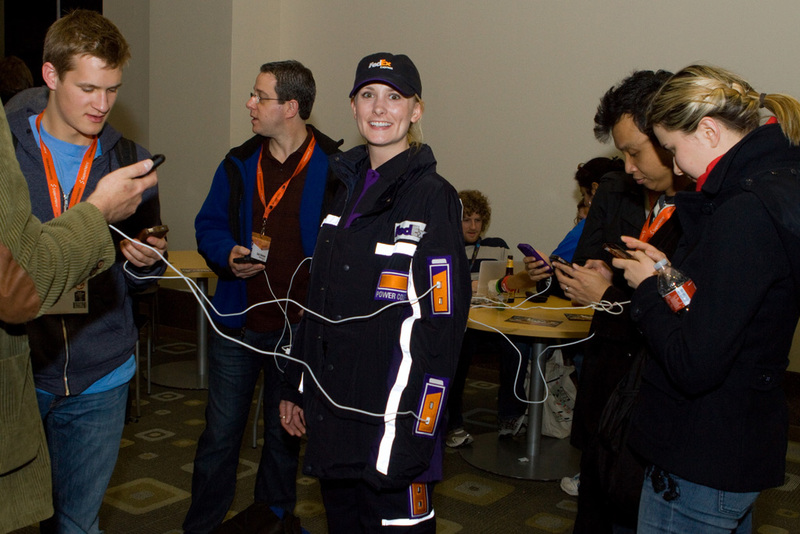 It was common to pass one of these FedEx mobile chargers somewhere in the convention center with up to a dozen people all plugged in and charging their devices. 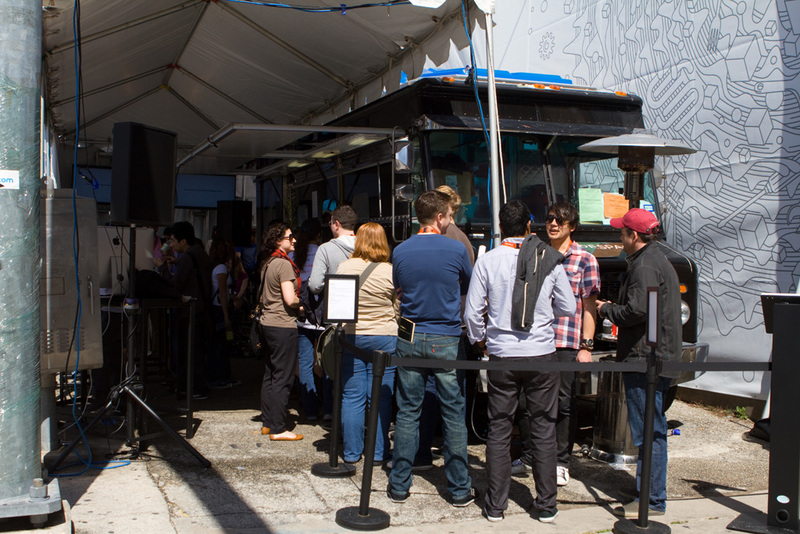 Free food and drink are common during the festival, and the Square Space food truck handed out freebies that changed on a daily basis. 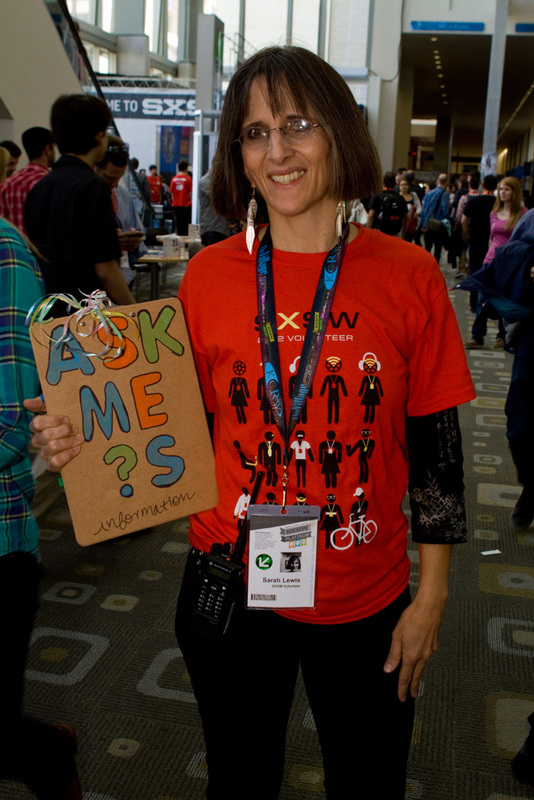 The SXSW Volunteer uniform this year was the red shirt you see worn by this helpful volunteer. 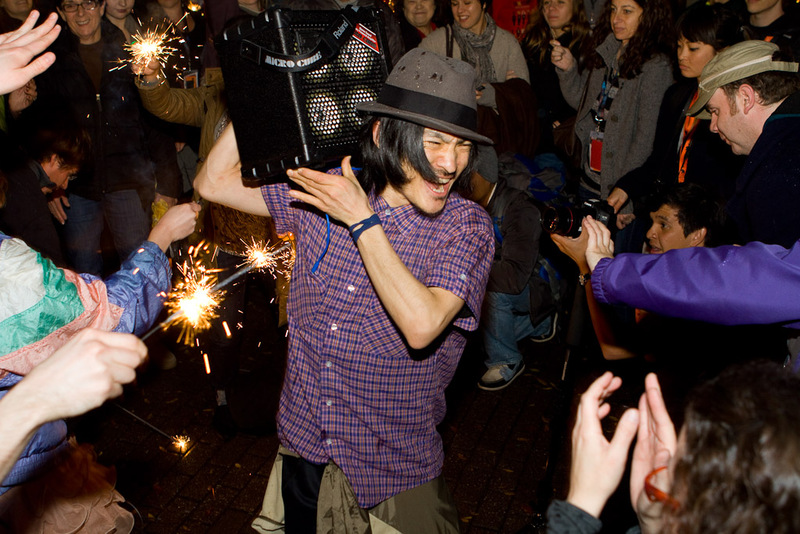 South by SouthWest is a one-of-a-kind experience. 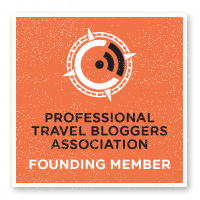 If you’re at all interested or involved with independent film, live music or have anything to do with the internet, you’ll find interesting presentations, great films, and intimate live shows. You can choose to attend the whole conference (my suggestion) or focus on one of the three aspects. The mix of people and creative energies itself is worth the trip. Make sure you add it to your calendar for 2013, and stay tuned for more images from the music side of things.